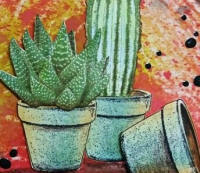 Welcome to a relaxed space offering creative cards and paper craft projects with a bit more art! Bookings are essential as seating is strictly limited. 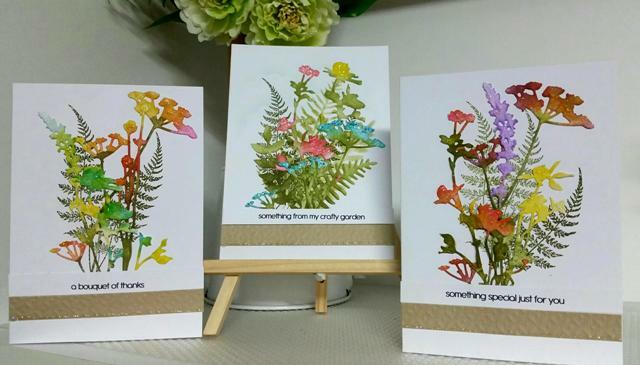 (above) Floral cards to 'die' for...featuring Wildflower Dies by Tim Holtz & Sizzix and a Kaszazz fern stamp. 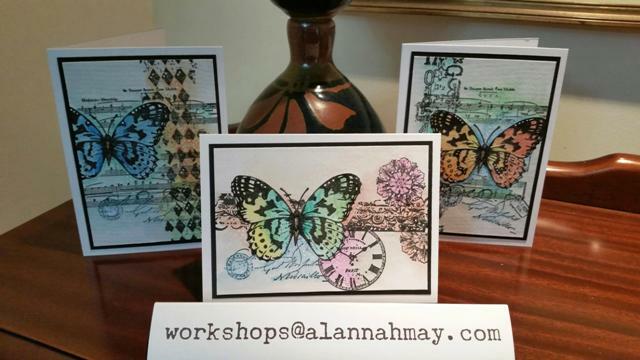 Tasks include die cutting, distress ink blending with daubers and free-hand stamping. Project consists of 3 cards and includes C6 envelopes. Join other crafters and get those forgotten projects done in a relaxed creative space. Please BYO tools and all materials. Booking essential as seating is strictly limited. This is an information only site. You will not be asked to divulge any personal information. The simple joy of creating something by hand and the positive energy infused into each handmade card, makes it a unique and personal gift, and a joy to receive. The creative space is located in Bracken Ridge, (North Brisbane) with 2019 workshops starting at $18.00 per crafter. Alannah offers pre-paid vouchers with substantial discounts for those who regularly attend. Please get in touch if you're interested. *a shared enjoyment in a relaxed friendly environment. If you love, love, love the advertised cards but are unable to attend on the day, Make@Home kits are available for some workshops starting at $22.00 per kit. The request and payment must be lodged at least 24 hours prior to the scheduled workshop. Check availability when projects are advertised. Collection by prior arrangement. Project sheets created by Alannah May have been published. Alannah May'd is a Registered Stockist for Darkroom Door and regularly holds workshops using Darkroom Door products. 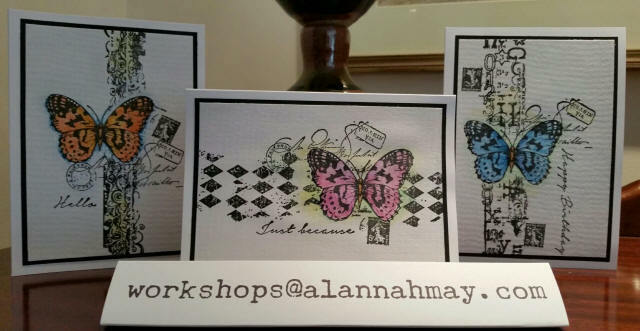 Alannah offers discounts, to all workshop-attending crafters, on orders of Darkroom Door rubber stamp sets featured during specific workshops.